I am sooo behind on sharing, I don't even know what to begin with. We explored Zion, we've visited Grand Canyon National Park, and hit up spots in between. I am working on our national park videos and will have those ready to share soon. Until then, I figured I would share our time in Kanab, Utah! We originally went to Kanab with the plan for it to be home base to explore both Zion and Bryce Canyon (which are each about an hour away); however, we quickly discovered that Kanab has a ton of awesomeness of it's own to offer. We ended up sticking close to Kanab for the week we were there, while we waited on a new AC to arrive for Delilah the Dream Machine! 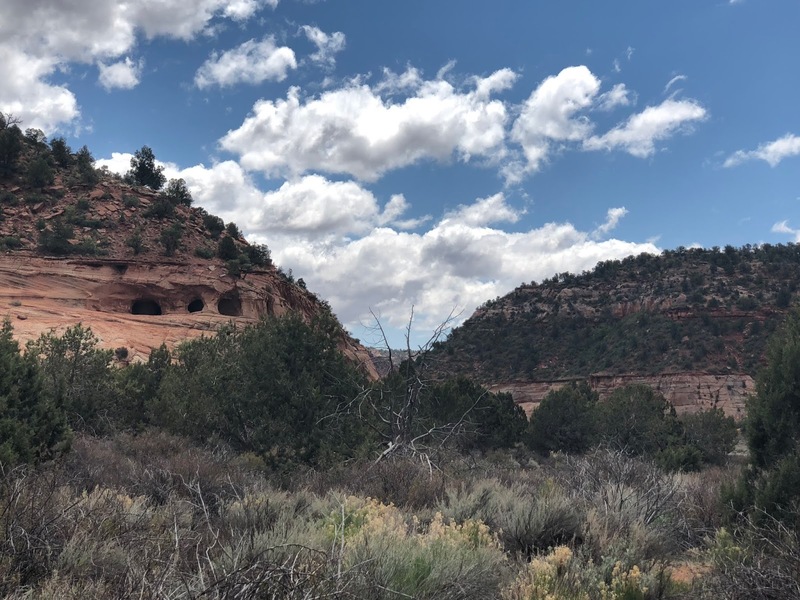 Kanab has a cave system, right off of Highway 89, that can be explored for free. There is also Moqui Cave, which is a cave turned museum that can be toured for a small fee. We walked into Moqui Cave, but decided not to pay and opted to try for the caves that can be explored on your own. Situated between Moqui Cave and the turn off for Best Friends Animals Sanctuary, you can't miss the outcropping of cave entrances situated about halfway up the cliffs. In order to access them you simply find a pull-off on the side of the ride and take a short trail to the base of the cliffs to make your way up and across. There is no designated spot telling you where to go up. Thanks to advice on the Outbound site, we knew to approach from the far left. Definitely heed this advice! Trying to scale the cliff face would be way too hard. You can get up the cliff easily from the left and then approach the cave entrances from the top. The Kanab caves were awesome! They were far deeper than I expected them to be and we were blown away by how beautiful it was! If you love animals this is the place for you! We stumbled across Best Friends Animal Sanctuary by accident, while we were looking for a spot to hike. We took the turn off and I remarked "well, that's a pretty impressive sign for an animal rescue". Y'all?! This is the animal rescues of animal rescues. It is actually the largest animal sanctuary in the US and is home to over 1,600 homeless animals. It is spread out across over 3,000 acres and is home to animals of all shapes and sizes. You can take tours of different areas (Cat World, Bunny House, Horse Haven, Dog Town...) for no cost, but tours fill up so plan ahead. They have lodging on site, as well as camping and RV hookups. You could spend a week there, meeting different animals and even signing on as a volunteers to work with the animals while you are there. 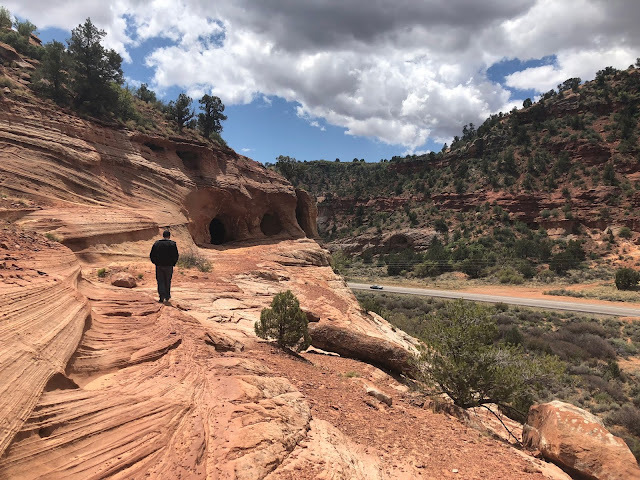 While we didn't end up booking any tours (as we had stumbled across it accidentally and hadn't planned), we did drive through the expansive and beautiful grounds; that alone made for a great activity in Kanab. Kanab is home to a variety of wonderful restaurants! We dined at a few spots and recommend hitting up Big Al's Burgers for some burgers and tots (be sure to try their special fry sauce) and Rocking V Cafe for their Adobe Chicken, but the place that takes the cake for us is Sego Restaurant! We have eaten at many places in our 6 months on the road, but Sego is one of the best places we have found so far! Housed in the most charming hotel, Sego has a wonderful and eclectic menu; from Asian inspired flavors in the duck lo main to southwest flare in the Chili Colorado our palates were screaming for more. If you are ever anywhere near Kanab, Utah you have to make sure to pay a visit to Sego Restaurant. Not only is the menu filled with amazing food, but there is also a wonderful craft beer and cocktail list! I would highly recommend the Prickly Pear Margarita and Babe would tell you to go for their Ancho Manhattan. We loved the outdoor patio, with a fire pit that is lit once the temps begin to drop! Sego Restaurant is the perfect spot to enjoy a great meal after a day of exploring and adventure. We were very pleasantly surprised by our time in Kanab, Utah! What we thought would simply be a sleeping point, while we explored the surrounding areas, turned into one of the best little towns we have visited since hitting the road in November. 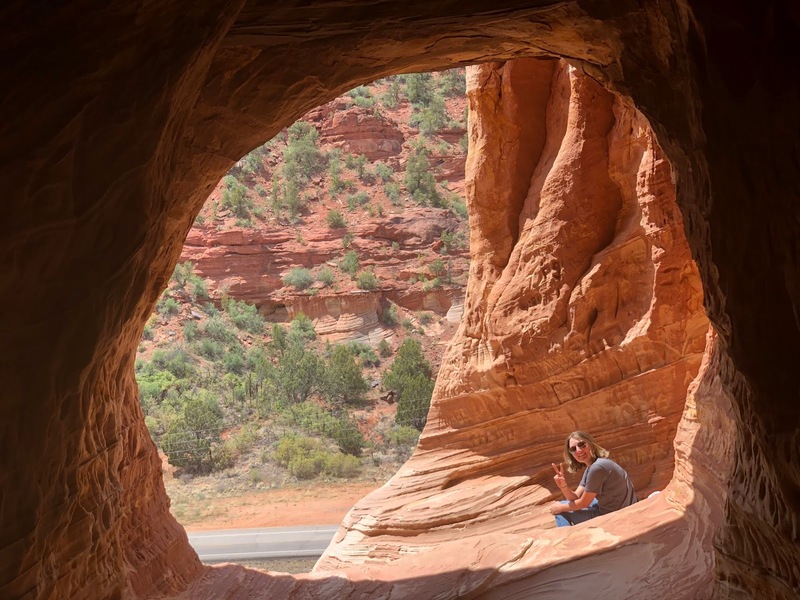 We barely scraped the surface of things to do in Kanab and would love to go back again to see more. Want to see more and explore inside the caves?! Make sure to check out more of the fun and food in this week's Road Talk Tuesday over on YouTube! Disclaimer: We did enjoy a portion of these experiences in exchange for an honest review. All opinions are my own. And that's about it for our time in Kanab, Utah! A huge thank you to Sego for an amazing meal!! What's your favorite restaurant in your hometown?! We love making a list of great places to eat! All the food sounds and looks amazing, the Canyons restaurant looks like something I would like. I have to go to Utah more often to do some hiking. Utah is a beautiful spot to hit the trail! We will pass Kanab this summer but won't have time to explore. I would like to check that free cave and the food look delicious! I will keep this in mind for the next trip. Yes, definitely keep it in mind. It is a great place! Those cave hikes look incredible! And I think I want to work for the animal rescue you mentioned - SO COOL! They aren't! Very open and tons of natural light!! Each your new trip looks even better and more exiting than the previous one! I believe with my whole heart that all the challenges and opportunities travel lays at your feet help you to discover who you are in a way that’s only possible on the road. I wish you all the luck of the world! And, please, keep posting!